Who doesn't love a bit of in your face holo? 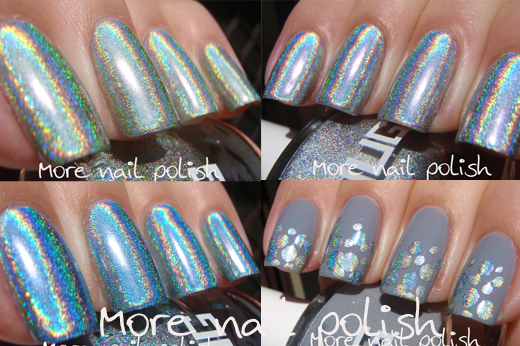 And when it comes to in your face holo, one of the absolute front runners is FNUG. Last year, this Danish based nail polish company came out with a set of three holographic polishes together with an aqua base. 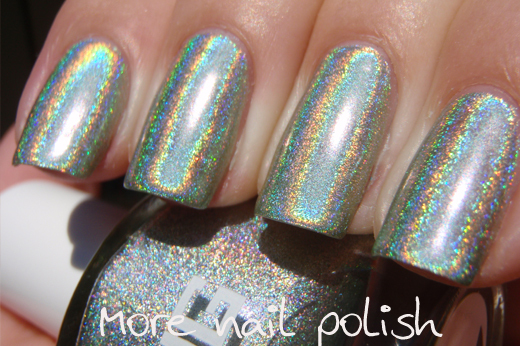 The three shades are fairly classic holo shades, silver, pale blue and pale green and they all have a crazy strong linear rainbow flare. The three holographic shades apply best when worn over aqua base. They are also fantastic when worn over a gel base. I've worn these over Gelicious Optional base coat and the finish is amazing because the base colour is so smooth. The other thing I love about these FNUG holographic polishes, particularly compared to the Layla holos is that these are much more opaque. Because of that, these are excellent for stamping.! 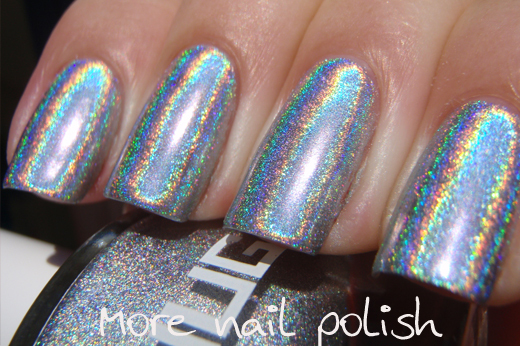 Pshychedelic - silver linear holo. 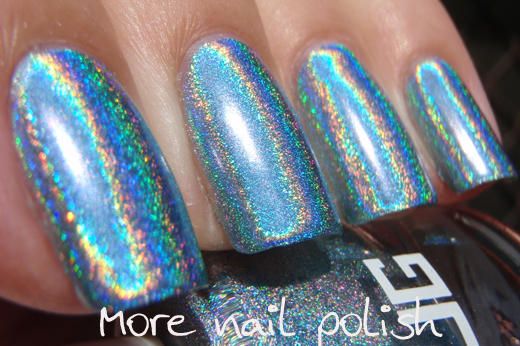 Futuristica - light blue linear holo. Urban Look - a soft blue leaning, light grey creme. FNUG also have an excellent range of on trend polishes in other finishes, particularly a lot of cremes. This one was a lovely colour and a smooth, easy to apply formula. Here is a dottie manicure I created with a combination of all the FNUG holographic shades. 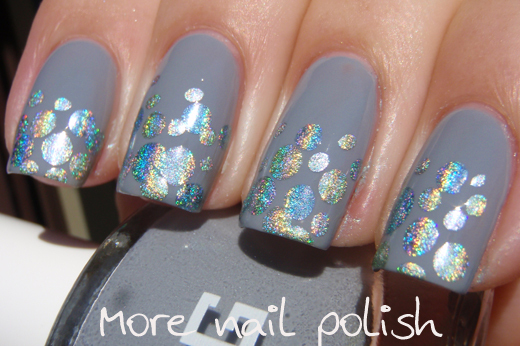 The holo shades really complimented Urban Look, although I could work on my dot placement I think. 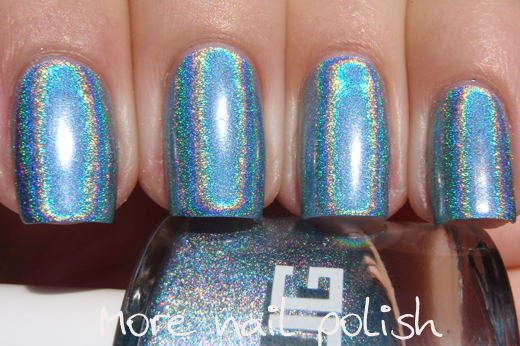 The FNUG aqua base coat, not actually shown in these photos, is perfect for wearing under holographic polishes like these. 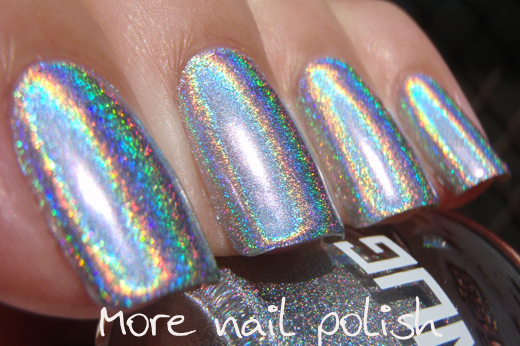 It's also perfect under the new China Glaze holographic collection I recently purchased. 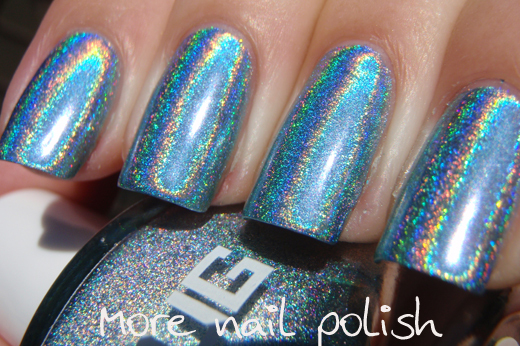 A large range of FNUG polishes are available internationally from Llarowe. Also, a reminder that today is the last day to get your entries in for my Guess that Polish Giveaway. Tomorrow I will reveal the names of anyone that got the highest score as well as announce the prize winners and of course, reveal the names of all the polishes. That's so awesome! I love it!!! I bought the FNUG aqua base, and made up swatchsicles to compare against the polish without it. I couldn't tell any difference, and the base wrinkled and split. I wish I knew whether it was the brand of holo I used with it, the fact that it was a plastic swatchsicle instead of a real nail, or I missed a step or committed some other user error. I would say it was the plastic swatchsicle, my holos very look as good on the swatch sticks, something weirdo going on with the plastics. I find aqua base makes a big difference on the nails, not only does it make it easier to apply, but it smooths out a lot of the ridges and bumps too. 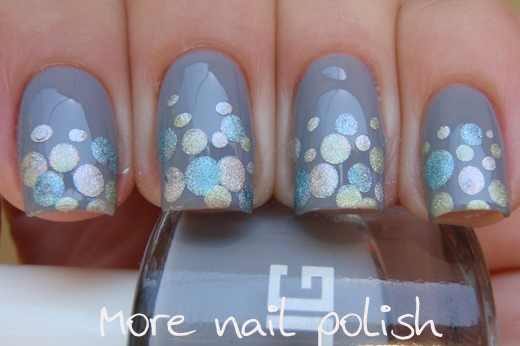 I love the holo dots! The holo dots are especially awesome. Love it! 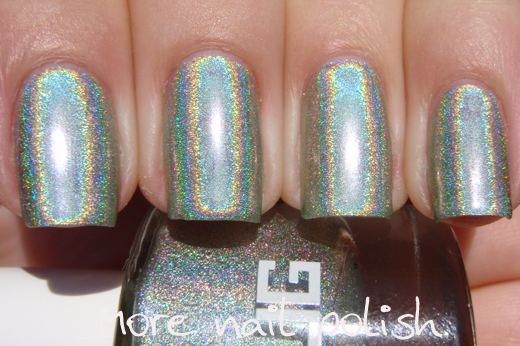 I can never find enough swatches of FNUG. I'm going to have to order these! 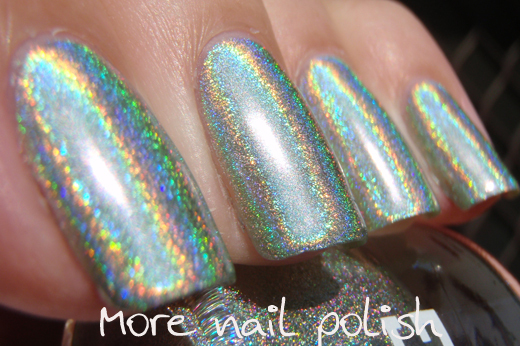 Love the matte + holo!